Speak Schmeak: Are your shortcuts actually blocking communication? A friend of mine contacted me the other day, perplexed about a message she had received from a representative of one of her local Toastmasters clubs. She's been thinking of joining a club and had been looking around on the Web for one near her. "...I wrote to them asking what [the requirements] are, and the guy wrote back that it's open to Toastmasters who've earned a CC. Really helpful. Not. What's a CC? Does it mean anything to you?" I'm not a Toastmaster, but I do know what CC stands for, so I clued her in. If you don't know what it is either, here's a link. Have you heard the saying, "If you have to ask how much it costs, then you can't afford it"? This was kind of like, "If you have to ask what CC means, then you're obviously not eligible." Not a great way to encourage newcomers to join the organization, even if it's not your particular club. "So, how 'competent' is a 'communicator' who answers a query from an interested newbie with an abbreviation that means nothing to them (me) without explaining it in English? Talk about ironic, eh?" In all of our industries, we have jargon, abbreviations, acronyms and secret terms that mean nothing to anyone but us. And when we're talking to people who know what these terms mean, they make great shortcuts. When I was running a nonprofit that promoted gender equity and girls in sports, I certainly didn't want to have to say or spell out "National Girls and Women in Sports Day" every time it was required in communication. NGWSD was shorthand that everyone in my field understood. However, if I were speaking to an audience of prospective volunteers or donors, or writing an article for the newspaper, I certainly wouldn't want to confuse or alienate my audience by using an acronym that was unfamiliar to them. I would spell out or say the name of this annual event the first time I used it, for those who hadn't heard of it. "Do you have any time to meet during W/C March 5th?" I understand that W/C stands for "water closet" but I couldn't see what a toilet had to do with our next appointment. I had to e-mail him back and ask for an explanation. "Week commencing" was his response. Now, I didn't feel particularly embarrassed to ask him this, but it did slow down our communication and took an extra e-mail to put this appointment on our calendars. In the case of your audience, they might feel embarrassed to ask what your acronyms mean, because people have fragile egos and most are afraid of looking stupid, uninformed or uncool in any way. And sometimes, like my friend above, your audience might actually feel excluded by your language, as though they shouldn't even be asking. 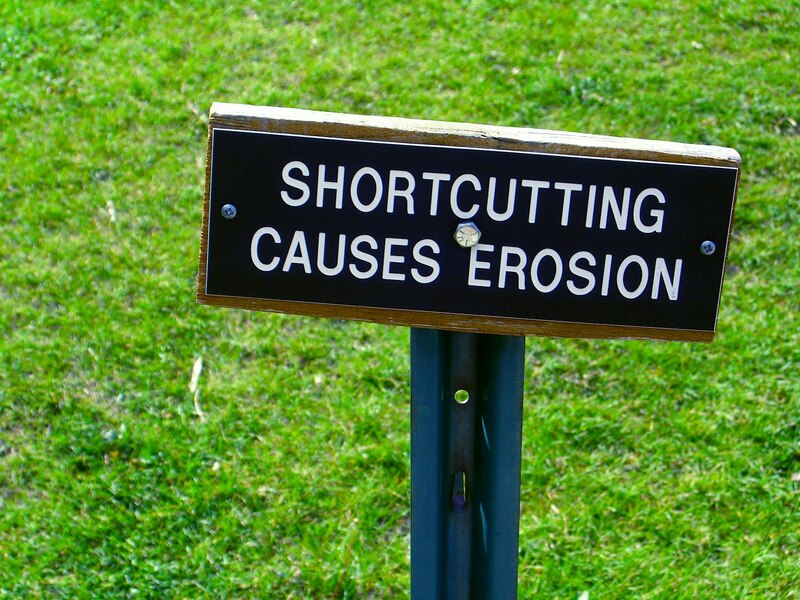 Be careful when you use shortcuts. Be cautious when speaking to groups you aren't familiar with, and be safe rather than sorry by spelling out or explaining the words or expressions you're reducing. 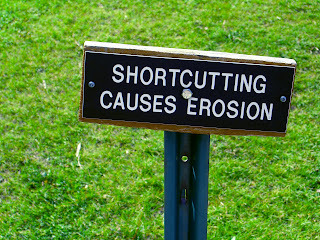 It's not always faster to use shortcuts, especially if you make communication more complex by using them with people who don't understand you.